1. A collapsible (and dishwasher-safe) microwave popcorn popper that makes perfect popcorn in 90 seconds. "This thing is so easy to use: You just put a tablespoon of kernels in the container, place the lid on top, then microwave it. After about a minute and half, you get perfectly popped kernels ready to be customized with the works. 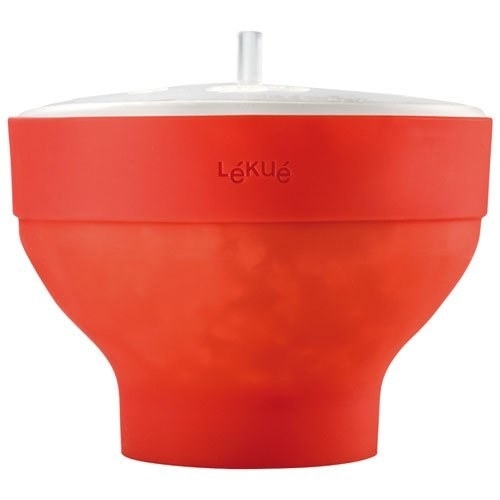 Get the Lekue microwave popcorn maker from Amazon for $20 or Jet for $19.99. 2. An oven-ready sizzle platter that can cook just about anything. Get an 11-inch aluminum sizzle platter from Amazon for $10.40. 3. A space-saving one-touch blender that'll make your morning routine a little easier. Get the Oster My Blend blender with travel sport bottle from Amazon starting at $15.99. Available in 7 different colors. 4. 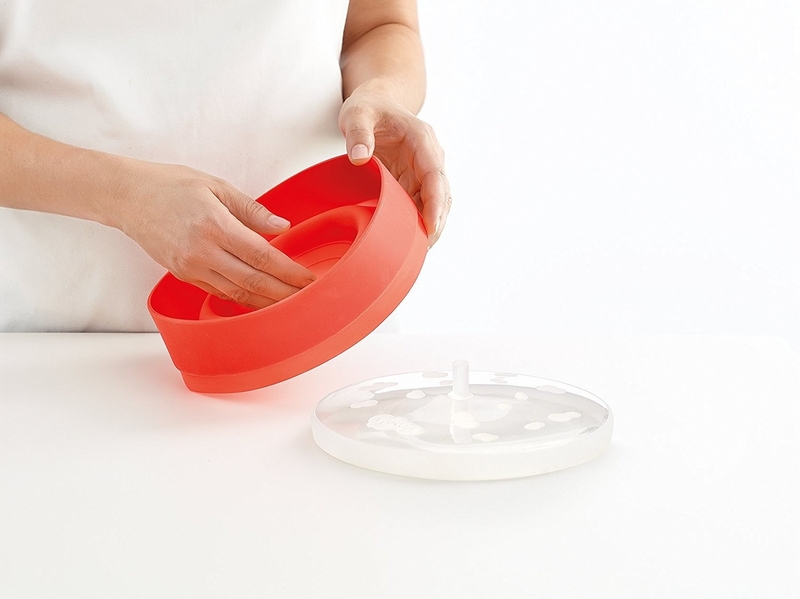 These flexible cutting boards that streamline prep-to-pan transport. Get a set of three mats on Amazon for $5.48. 5. A easy-to-use cookbook that'll guide newbies and experts alike through essential home recipes. "I have a bit of a cookbook problem. As in, I own way too many of them and treat them like my children. But my favorite one over the past year — and the one I've cooked from the most — has been Small Victories by Julia Turshen. Get it from Amazon for $9.80+, Barnes & Noble for $16.49+, or a local bookseller through IndieBound here. 6. A cheap peeler that works better than the expensive ones. Get a Kuhn Rikon Y-shaped peeler from Amazon for $6.50, or a set of three for $9.33. Available in several colors. 7. This flexible strainer that catches all the little food bits before they clog your sink. 8. These efficient lidded containers that'll help you organize your kitchen cabinets for good. "Every time I test a recipe at home, I end up buying a different spice or exotic ingredient. At one point, my kitchen became a literal war zone of specialty foods. Three types of cinnamon, six types of pepper, and an entire shelf dedicated to flours filled my kitchen and my stress levels to the brim. One weekend I decided to tackle the clutter and invested in a label maker and deli containers. It was time to transform my kitchen. 9. A multi-use fine mesh strainer to rinse quinoa, sift flour and cereal crumbs, and rinse fruit and beans. Get a set of three stainless steel mesh strainers from Amazon $10.99. 10. A sous vide precision cooker that's actually easier (and less intimidating) to use than you might think. "This year, I'd noticed the trend of sous vide — or ~precision cooking~ — floating around on Pinterest more and more. So one day over summer when I had no intention of turning on my oven, I snagged one and decided to see what all the fuss was about. And despite the fancy-sounding name, it was actually a lot easier to use than I thought. Get the Anova Culinary Sous Vide Precision Cooker from Amazon for $99. 11. An ultra-thin and flexible fish spatula that'll prevent delicate seafood from falling apart. Get a 6.5-inch blade fish spatula from Amazon for $5.45. 12. 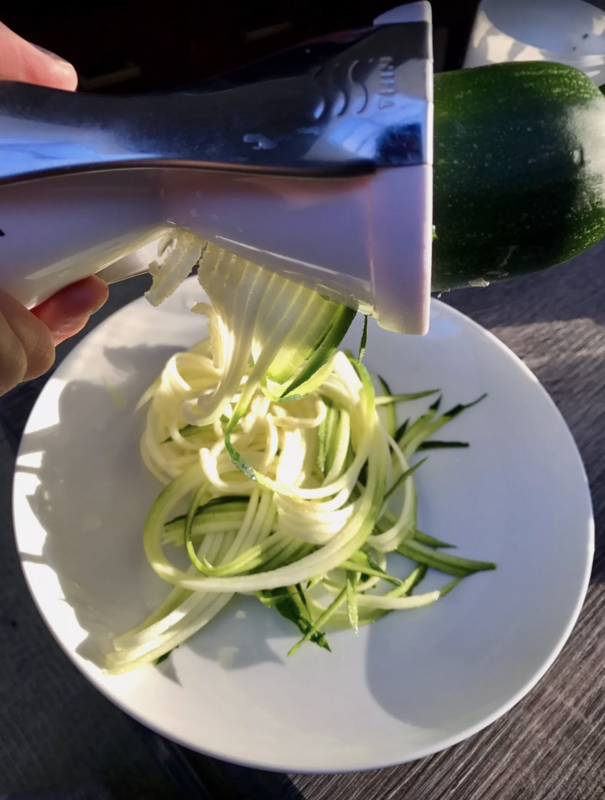 A compact veggie spiralizer that helps make meal prep a breeze. 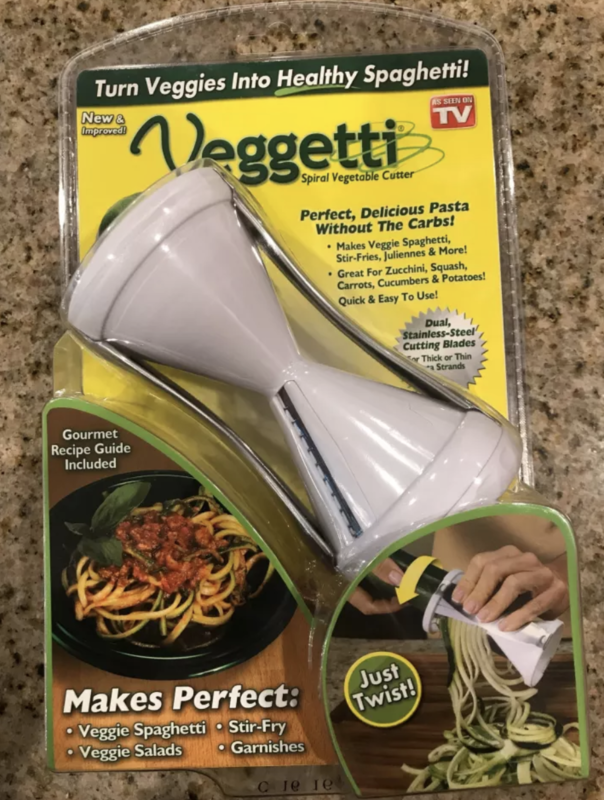 Get the Veggetti from Amazon for $8.59, or Walmart for $9.98. 13. An Airfryer that does a bang up job of frying foods — especially frozen ones — with less oil than regular methods. Get the Philips Airfryer from Amazon for $159.95. Get the Aiduy stainless steel sink caddy on Amazon for $12.99 or Walmart for $11.28.